Q. 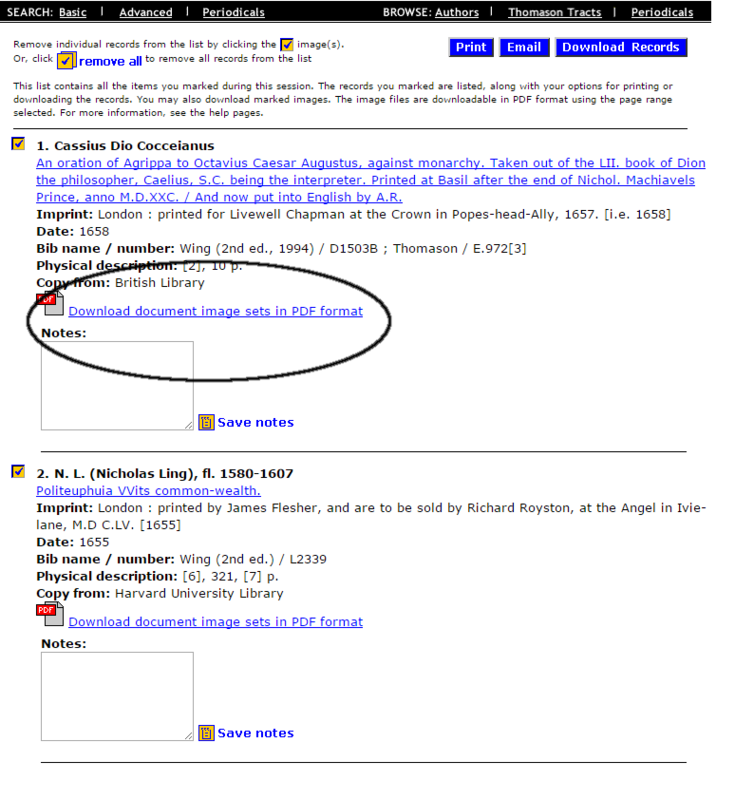 The help button on EEBO does not tell you how to download a document, read the full text, or have options other than view as thumbnail images. 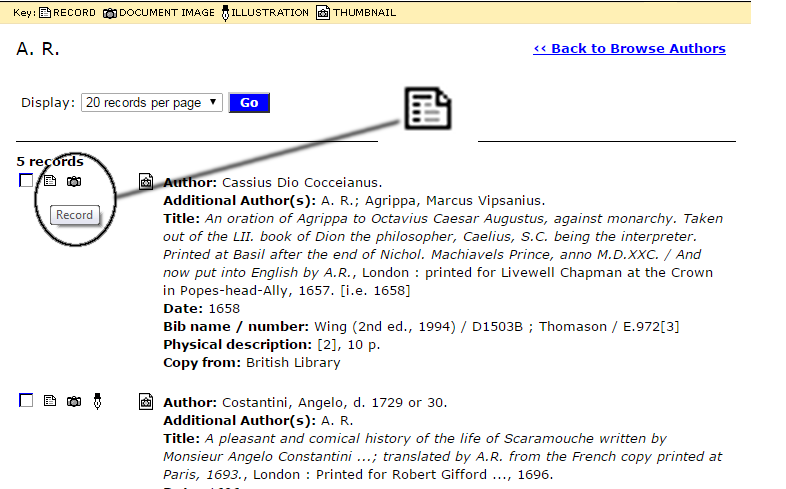 Step 1: From your search screen or the browse screen, the full record is a little index-card looking thing to the left of the record. See illustration below. Alternately, if you are looking at the entry (the bit with the thumbnails/etc), then there is the same icon towards the top of the page, again to the left-most side. 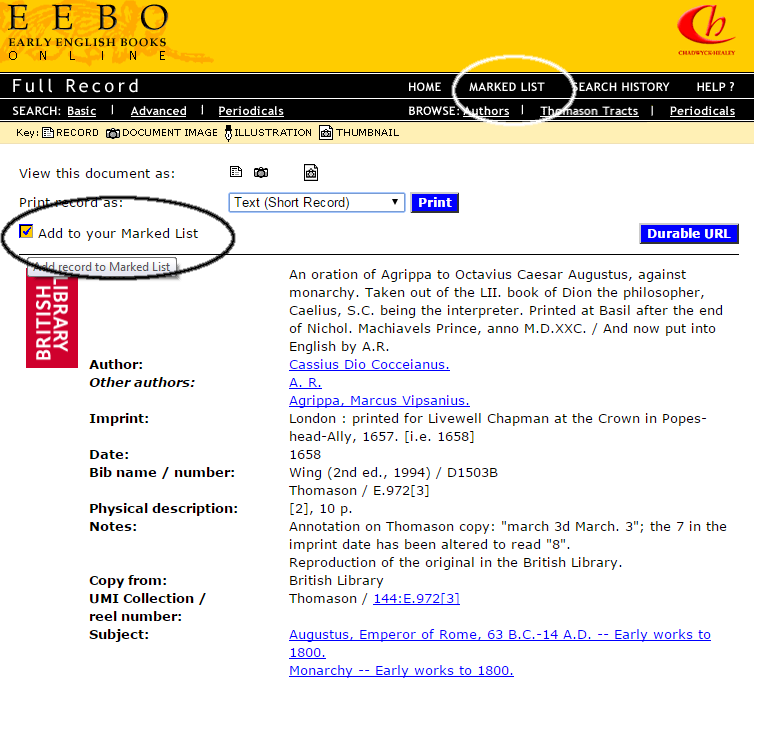 Steps 2 + 3: Once you are on the record, then simply clicked the "Add to Marked List" before going to the Marked List section (the white highlight). Steps 4 + 5: Now that you have it marked, and you are at your marked list, you should have an option to download the entire record as a PDF. 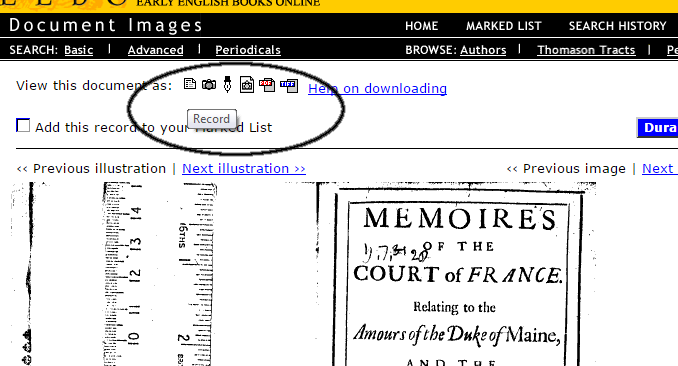 Or, on the download confirmation screen, you can choose to download a certain range of pages. And that's it! Note, these scans can get kind of sizable, especially for bigger documents, so plan accordingly.